Make fun memories with your family and friends! No Need to go over the bridge or take the ferry to enjoy a painting party! La Dolce Vita now have Bubbles N Brushes here in Portland. We are no longer holding regular public parties. If interested in a party, we will need a minimum of 5 participants and we will open up to the public. 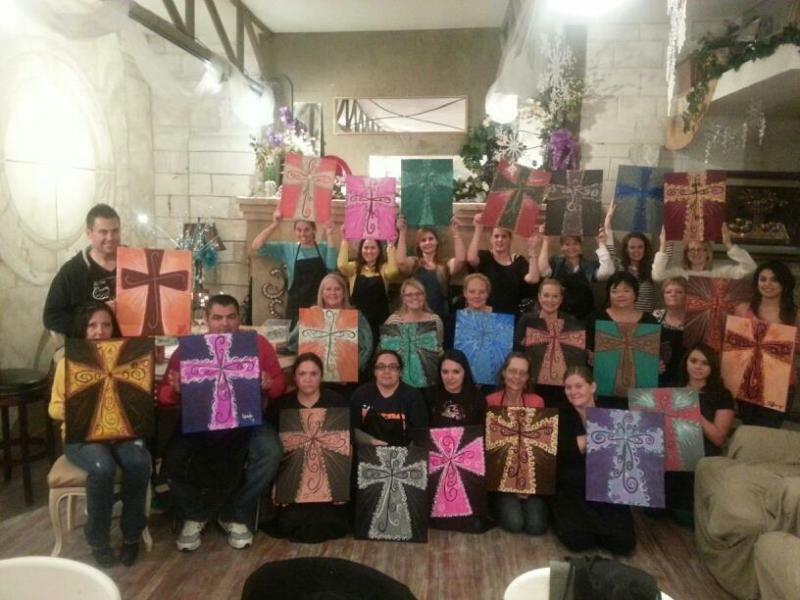 Please email us paint@bubblesnbrushes.net or give us a call/text to 361-813-4905 for more information. Have at least 10 people and want to have a private party? We can accomodate up to 40 people. We need a two week notice for reserving parties with availability. Last minute openings may be available. Private parties are available most evenings, and any time on Sundays. We can also go to your place of choice. Ask us about our fundraising to your favorite Charity. Our Calendar is now available! Check out our community events and fundraisers. Pay with credit card or paypal or come by! Most classes must be prepaid by 5pm on the day of the event. So grab a friend and bring your favorite snacks and beverages and party with us! Our classes are located upstairs in La Dolce Vita Building. See you there!